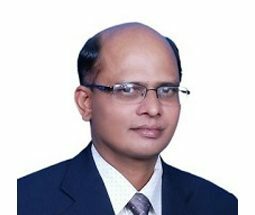 Dr. Raju R Gondkar has 22 years of teaching and training experience with active research in the area of E -Learning, Image processing, Cloud Computing and Technology Management. He played the main role in drafting the Project report for establishing an Incubation Center to nurture entrepreneurship in IT sector with the support of State Government in 2004, which became the base for Incubation Centers sanctioned by Government of Karnataka. He was instrumental in establishing an IT incubation center with IBM and AIT Bangalore. He has presented and published two papers in international conferences – one in Washington DC and the other one in Jamaica, West Indies conducted by IBAM and Common Wealth of Learning. He is currently working as professor at CMR University.